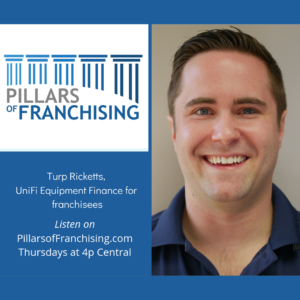 Topic: Selecting and Growing your franchise and how your franchise financing is critical. 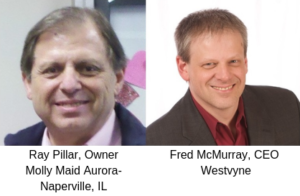 Join Host Ray Pillar, Owner of Molly Maid Aurora-Naperville, and co-host Fred McMurray of Westvyne, discuss franchise development, financing, franchise accounting, purchasing, growing your franchise, brand positioning, expanding your franchise concepts, franchisee marketing, legal issues, franchisor marketing, complementary branding, expanding and selling your franchise. Pillars 1 is Selecting the Right Opportunity. 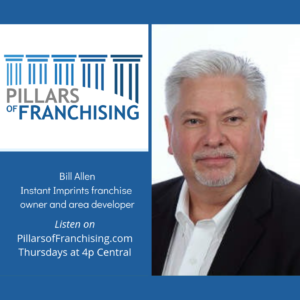 Pillar 3 is How to Grow your franchise opportunity.